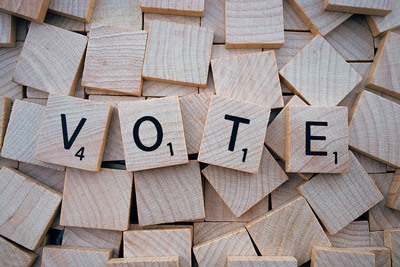 Our weekly article usually answers a legal question from one of our readers; however, this week’s article answers a question all of us should ask ourselves: Why take the time out of my day to vote? Does my one vote make a difference? The short answer is YES, you should vote and YES, your one vote makes a difference. With the mid-term elections rapidly approaching many of us are reflecting on the state of our country, our community, and our well being in general. Regardless of your political affiliation the people you elect to Congress, the General Assembly, the Appellate Courts, and our local Judiciary have a direct impact on your life. The laws related to personal injury awards, contract damages, criminal convictions, child custody, child support, alimony, and well, pretty much everything that touches your life is in the hands of the legislators you elect into office and the judges you elect to the bench. On the local level alone fundamental issues such as roads, schools, property taxes, and zoning issues are decided. All of these affect your immediate future. When you cast your vote in any election you expressing your opinion about how you want matters handled or your disagreement with how matters are currently handled. The right to vote, and to do so without interference is fundamental; one many people around the world wish they possessed. If the idea of waiting in line or being concerned about when you could possibly fit in voting is what is standing in your way, remember you have the opportunity to take advantage of early voting, absentee ballots, and voting hours which extend before and after our work day. Our senior paralegal, Linda Roberts, voted earlier this week in less than 20 minutes by pulling into the Stallings fire department where she took advantage of early voting. One attorney voted on the way to work one morning. It took 15 minutes. If you are willing to take time from your day to purchase a lottery ticket when your chance of winning is more than 1 in 3,000,000 because you “just might win”, then we all have the time to stop at our local polling place when the impact of our vote is immeasurable and every vote counts towards building the community we want to have. Make your voice heard. It counts. By Laura H. Budd, Esq., F. Lee Weaver, Esq., Hunt Harris. Esq., and Jennifer L. Fleet, Esq.. The information contained in this article is general in nature and not to be taken as legal advice, nor to establish an attorney-client relationship between the reader and Weaver | Budd, Attorneys at Law.